Senior medical professionals from around the world will arrive in Scotland later this week for the Professional Convention Management Association's (PCMA) Global Medical Meetings Summit. Kicking off in Glasgow on Thursday (12 November), the programme will begin with a series of education events held at the Scottish Exhibition and Convention Centre. Delegates will then visit the iconic Gleneagles Hotel, home to the 2014 Ryder Cup, with the program concluding in the capital city, Edinburgh with events taking place at the Edinburgh International Conference Centre. Representatives from the American Society of Anesthesiologists, Societe Internationale d’Urologie, American Thyroid Association, World Allergy Association, American College of Emergency Physicians, Scoliosis Research Society and American College of Genetics and Genomics are expected to attend. Deborah Sexton, president and CEO of PCMA, said: "Throughout PCMA’s Global Medical Meetings Summit, this stellar group of medical meeting professionals will be working collaboratively to help us define today’s most pressing challenges in global medical conferences and define possible solutions. We look forward to the outcomes and continuing our collaboration in the year ahead." The programme will be led by professional facilitator, Sean Blair, with UK’s ProMeet and will also feature keynote and workshop speaker Bertalan Mesko, aka The Medical Futurist, who will explore bringing disruptive medical technologies to life in healthcare. 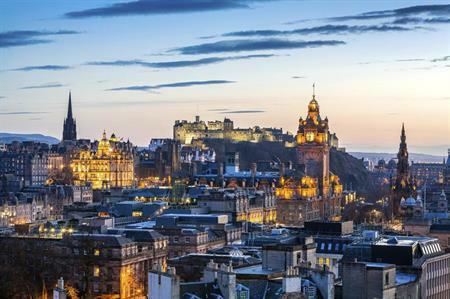 PCMA hosted its inaugural Global Corporate Summit in Scotland in 2012. Neil Brownlee, head of business events at VisitScotland, commented: "We look forward to not only showcasing the country and its credentials in the medical arena, but also to providing an unparalleled backdrop to inspire these global leaders."